Black Pink singer Jennie is sharing new posters for her solo debut. The 22-year-old K-pop star appeared in two new promos Thursday following news the members of Black Pink will release solo singles. One poster shows Jennie lying on the grass in a floral-print dress. The singer is surrounded by pink roses. "have you seen this yet?" she captioned the image on Instagram. The other poster features a close-up shot of Jennie among the flowers. Black Pink's agency, YG Entertainment, also shared the posters on Twitter. 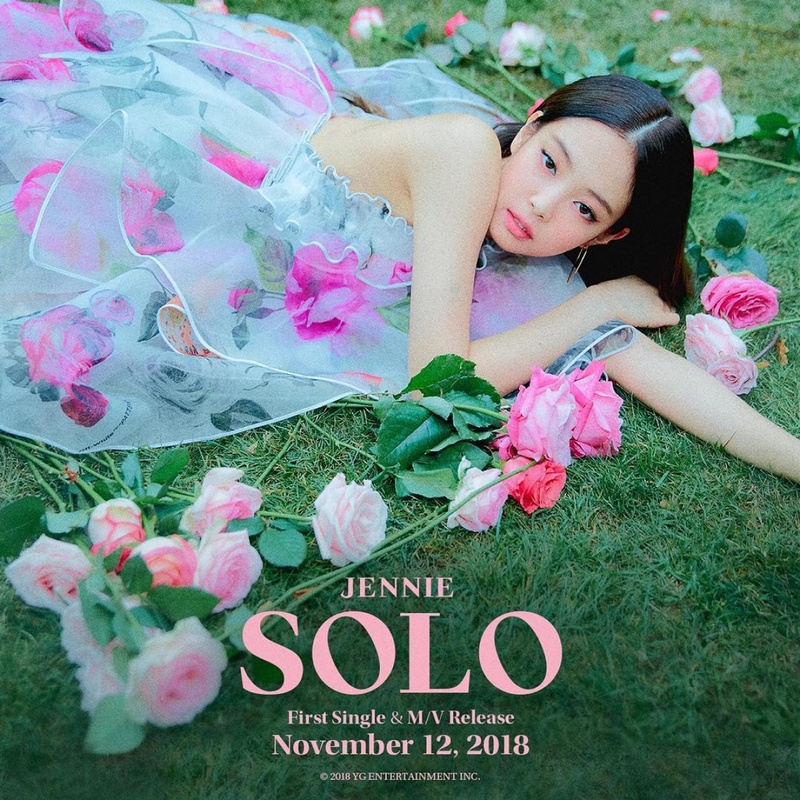 "#JENNIE '#SOLO' TEASER POSTER First Single & M/V Release 2018.11.12 #BlackPink #Jenny #YG," the post reads. Jennie will release her first solo single and music video Nov. 12. She will perform her song for the first time at Black Pink's solo concerts Nov. 10 and 11 in Seoul. News broke this month that Jennie, Rose, Jisoo and Lisa are working on solo projects in addition to new music with Black Pink. The group last released the EP Square Up in June.